Street or garage parking conveniently available. 1, 6, N, R, & W trains to 28th Street, and F & M trains to 23rd Street. Hill Country offers free live music in our Boot Bar Tuesday through Saturday. Join us for our LIVE BAND karaoke every Tuesday starting at 8:30pm and feel like a rock star! For a complete listing of upcoming shows, visit http://music.hillcountryny.com. Trade in the stuffy corporate event spaces and fussy formal dining rooms for an authentic slice of Texas deep in the heart of New York. 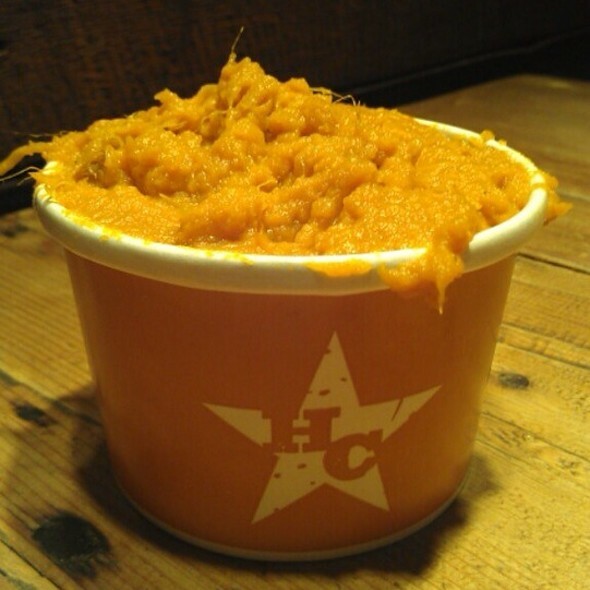 For more information, please contact our Catering & Events team at events@hillcountryny.com or 646-380-5873. Hill Country Catering & Events brings the award-winning Hill Country Barbecue Market experience to your backyard. We offer world-class, Texas-style barbecue, Southern hospitality and a signature vintage western aesthetic that is a fun, relaxed and refreshing alternative to run-of-the-mill wedding rehearsal dinners, company picnics, parties and celebrations, from 20 to 2,000. Our eye-popping, custom-made “HC Barbecue Trailer,” a mobile barbecue pit complete with a sound system playing Hill Country’s signature Austin-inspired soundtrack, brings freshly smoked barbecue straight to your door. 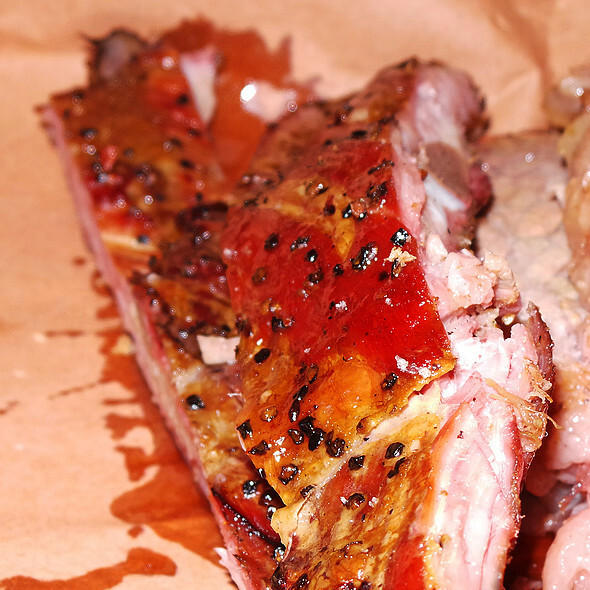 Named "Best Barbecue in NY" by both New York Magazine and Time Out New York, "Top 10 Barbecue in the U.S." by the Wall Street Journal and "Best New Restaurants of the Year" by New York Magazine, Hill Country takes its "cue" from legendary Texas barbecue joint Kreuz Market and its distinctive dry-rub style. 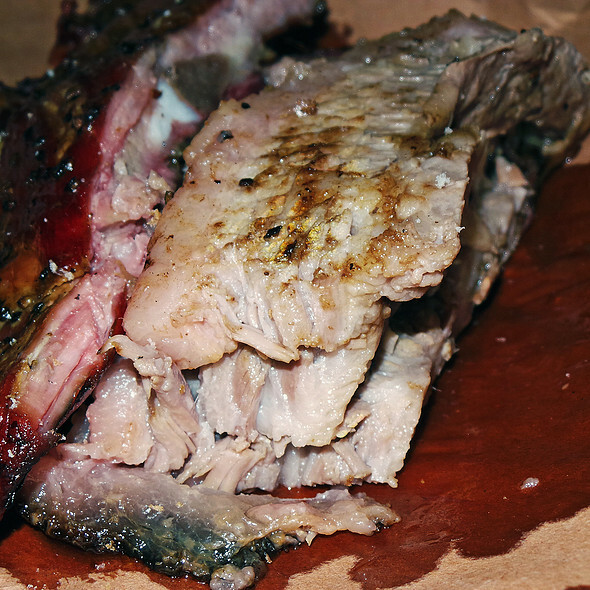 Hill Country's brisket, sausage, ribs and other meats are smoked low and slow over Texas post oak. The barbecue is served in butcher paper, counter-style by the pound, with traditional trimmings. Hill Country features two full bars with an extensive menu of long neck beers, tequila and bourbon, and a state-of-the-art sound system and stage for live music celebrating the thriving Austin music scene. 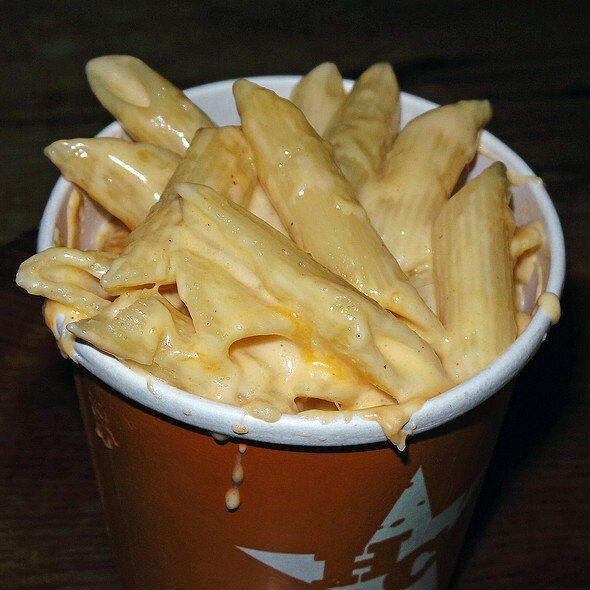 Signature versions of classic southern sides and sweets include Longhorn Cheddar Mac & Cheese, Campfire Baked Beans with Burnt Ends, and the Original PB&J Cupcake. A marketplace full of Lone Star State favorites includes: Big Red Soda, Kreuz Market Sausages and more. We host the NYC Trivia League every Tuesday night from 6-9pm. Get your Trivia on and win some Hill Country Gift Cards. All Day Happy Hour!! Drink Specials all day long including our signature Burnt End Bloody Mary! Happy Hour Menu from 4:00 to 7:00 and 10:00 to close every Monday through Saturday. We got Shiner Bock, Margaritas, Jello Shots and House Wines and House Liquor specials. My first time there. Relaxed, very casual and very friendly and helpful staff. A most enjoyable evening but the meal was a bit disappointing. Ribs and sides were great, but the otherwise succulent and tasty brisket was so salty that some pieces were ruined. I will go back in the hope that was an aberration. We hadn't been there before and didn't know that it was a buffet. The side choices was limited and you could not choose how much you would get. Went on Monday during all you can eat, my wife 2 yr old (he was free by the way, nawce! ), and myself was thoroughly satisfied, server was great ,meat butchers awesome, and drinks were nicely priced. Overall great place. Happy times! 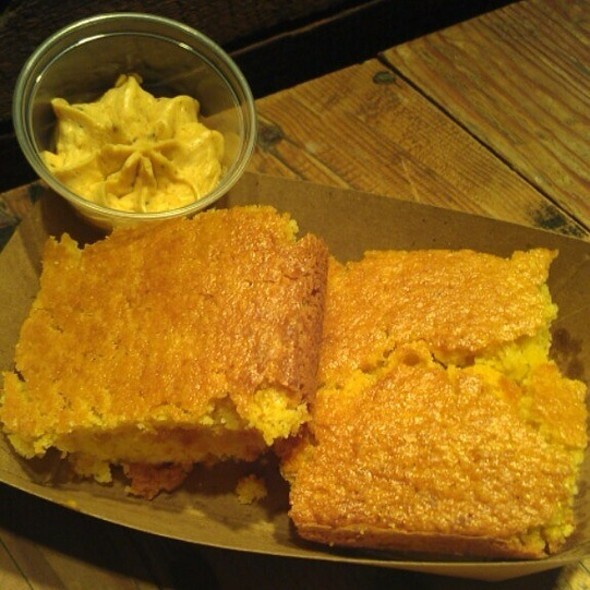 The place still has to be a favorite of mine and always a good meal.The corn bread is a winner and it is a little most which I enjoy over the dryness of some corn bread.The brisket is a mainstay along with the pulled pork. I would give a higher rating however the menu board of options over time is shrinking. Locale molto bello, atmosfera texana ricreata alla perfezione! Carne ottima, soprattutto il pulled pork! Really amazing food, cool atmosphere. You go up and order you meat by weight and your sides by size. Its a fun place to bring friends and really captures that 'homey' feeling. I've had friends from Texas who said the bbq was legit, so that about says it all. Hill country is continuously a terrific meal! The food is outstanding! We had the ribs this time. They were out of chicken and we got the one last piece. The chicken was perfectly juicy (just wasn’t enough). The ribs fell right off the bone and were particularly not too fatty this time. They were crusted with blackened pepper and it was outstanding. We also had the Mac and cheese and the string beans and my daughter devoured them both! The only problem was getting the attention of the waiter. We had to wait for the Mac and cheese to be made and we couldn’t wave him down even though he was helping the table next to us. We wanted a second round of drinks and he was no where to be found. The meal took an exceptionally long time and we were with a 6 year-old. Service could be better. Really great authentic southern BBQ! Fun atmosphere and nice intimate music venue. Will definitely be back! 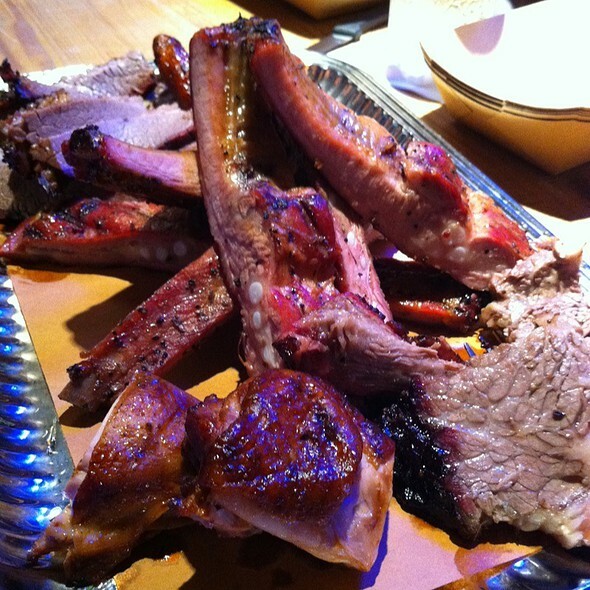 Hill Country was a great spot for a big group, would definitely suggest ordering a platter to share with extra sides! Best brisket on planet. Go hungry. the people in charge of sides are incredibly generous and the meat is cut on the spot. Very loud in a good way on Saturday night. Best BBQ North of Austin, TX for sure. And the Band! Thirsty Dave and Western Caravan are not to be missed. The food was excellent. Our group was quite satisfied, especially with the bbq beef platter and the mac and cheese. The desserts were great as the final touches for our meals. Best barbecue I’ve ever had. Brisket was legendary. Great vibe. Staff was so friendly. Am already planning a return trip! My husband and I made reservations for 5:30pm on a Sunday and got there just in time before the dinner rush. We didn't have to wait in a long line for the food. The ribs are my favorite! Overall, it was a delicious meal before a punk concert!! The food was great and I feel like it was a great value! I went with a group of friends and we shared a pitmaster and got an extra side and it was fantastic! Best BBQ in NYC full stop. Amazing service with authentic Texas-style barbecue! Friendly staff & a crave-worthy meal every time! Food was good and our server really worked hard but the servers at the marketplace were so cranky! Also we were seated at a communal table and my husband had his back to a post - not the most comfortable. Not sure if that long communal table on the left is the best idea as it is also in the way of people lining up to get food. Staff was great and the food was amazing. I also enjoyed knowing I could get a sample of the item prior to committing. This really helped guide my choices and was appreciated. Hill Country is a favourite.This is the third time that we've been there and they had run out of pork loin. It was only 7:30 p.m. and we were disappointed. Also, music is very very loud. I've dined here before, but this time for a concert and it was still as good as ever. Delicious food, good service and the Ray Scott concert was awesome. I highly recommend this place! Having been to Hill Country several times, it hasn't disappointed us yet. We almost always get the brisket to please the beef eaters in us. This time we also had turkey breast and sausage along with collards, green bean casserole, and corn bread. Just when you don't think you didn't order enough for 3 people, you're plenty full and happy when it's all gone. The food makes up for the bad service. It's really delicious bbq and shows up really fast if you order from the platter menu. Our waitress never came back to see if we wanted drinks and couldn't answer two very basic questions about the menu. Also, they were OUT OF WINGS on a Friday at 8:30!!!! Really???? The very best part of the entire experience was going downstairs after eating for the live band that started at 9:30. Tremendous time! If you can't go to Texas for BBQ, close your eyes when eating here and your mind will believe that you are just outside of Austin. Had a good experience at this restaurant. The space is large and nicely decorated. The crowd was a nice mix of corporate types, families and tourists. 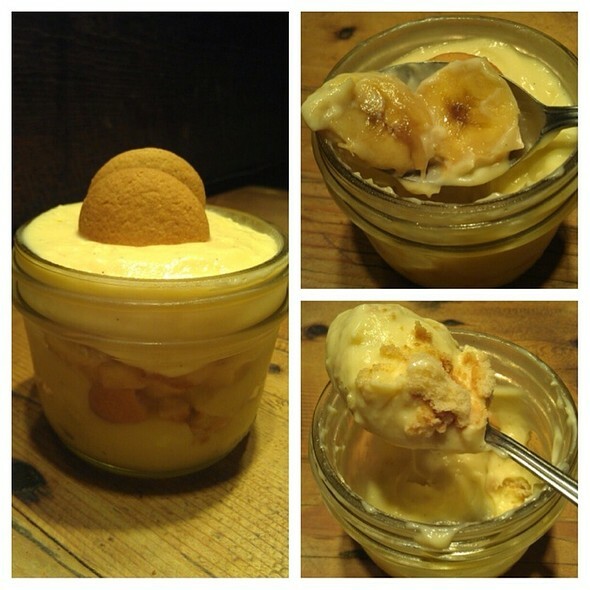 Food was amazing (even the sides were really good) and service was prompt. However we had to wait for our drinks as they had an unusually delayed fix to the margarita machine/blender(?). Overall a great place for groups and couples alike. Always great food to nosh on while catching up with friends. The bbq chicken was especially juicy and well flavored tonight. The moist brisket never disappoints. 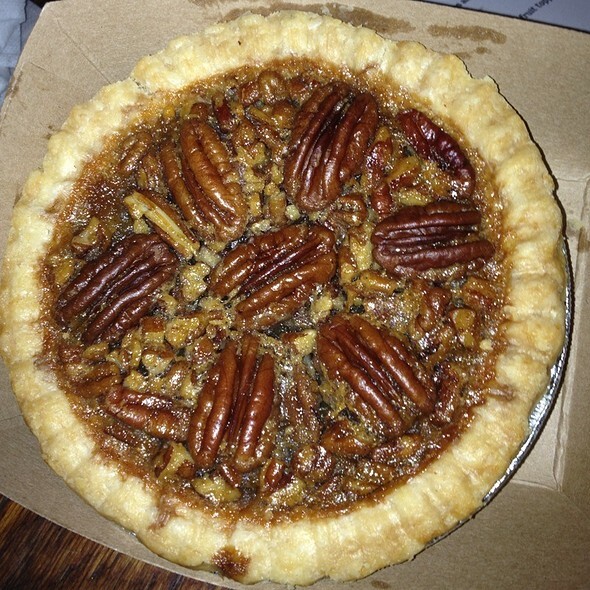 Food is always a treat. Wait Staffing was short handed. For a Sunday afternoon; more hands should have been on deck. Food was overcooked and fatty. The ribs were more fat than meat. The sausage tasted like it was stuffed with bread crumbs and grounded junk-not sure what. NO MEAT inside at all. We won't be going back nor recommending this place. We were REALLY disappointed!!! Great Texas BBQ place, huge restaurant! Great atmosphere, tender meats and Texas alone Star beers! While I normally love Hill Country and my friends had been there before, be warned about Trivia Night. Needless to say, it was VERY LOUD -- so loud that it was tough to have a conversation. As always, the food was great and our waitress was very attentive. With a bigger group, we actually ordered dessert -- for the first time. The chocolate mousse/cake thing is fabulous! We'll be sure to save room next time.